Making Kompot (Компот) is super easy to make and has become a lost art. It’s a great way to use up extra fruit from your garden (or an impulse fruit tray purchase from the store). 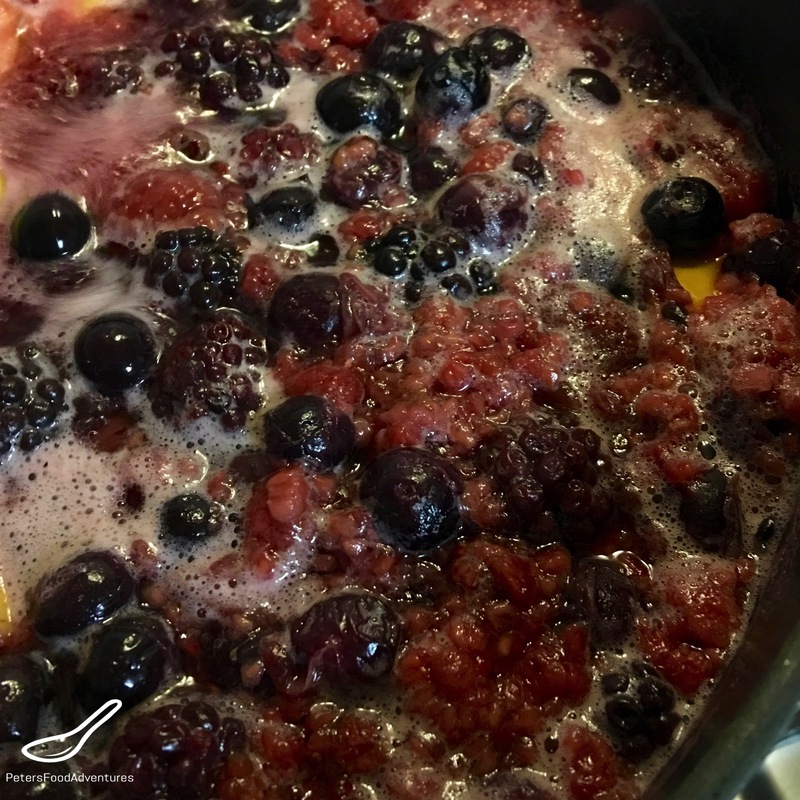 According to Wikipedia, ‘Kompot is a non-alcoholic clear juice obtained by cooking fruit in a large volume of water, like strawberries, apricots, peaches, apples, rhubarb, gooseberries, or sour cherries’. You could almost use any fruit or berry. Some use apple and pear, but I prefer forest fruits, like raspberries, blackberries and blueberries. I love this combination best, and I usually have an apple lying around, so I throw it in for good measure. No two Kompot recipes taste the same. Don’t confuse compote juice with compote, which is a stewed fruit dessert. This kompot is a drink/juice recipe, made from fruit. There is also a version of kompot that was used to preserve fruit for the winter, canned in juice. I’m sure that these all have common roots, and have been used in Eastern Europe for hundreds of years. It’s so easy to make.. Throw some fruit and sugar in a pot, bring to a boil, infuse, strain and drink. No added unpronouncable ingredients, and you get to control your added sugar content. You can use fresh fruit, frozen fruit or even dried fruit to make kompot. 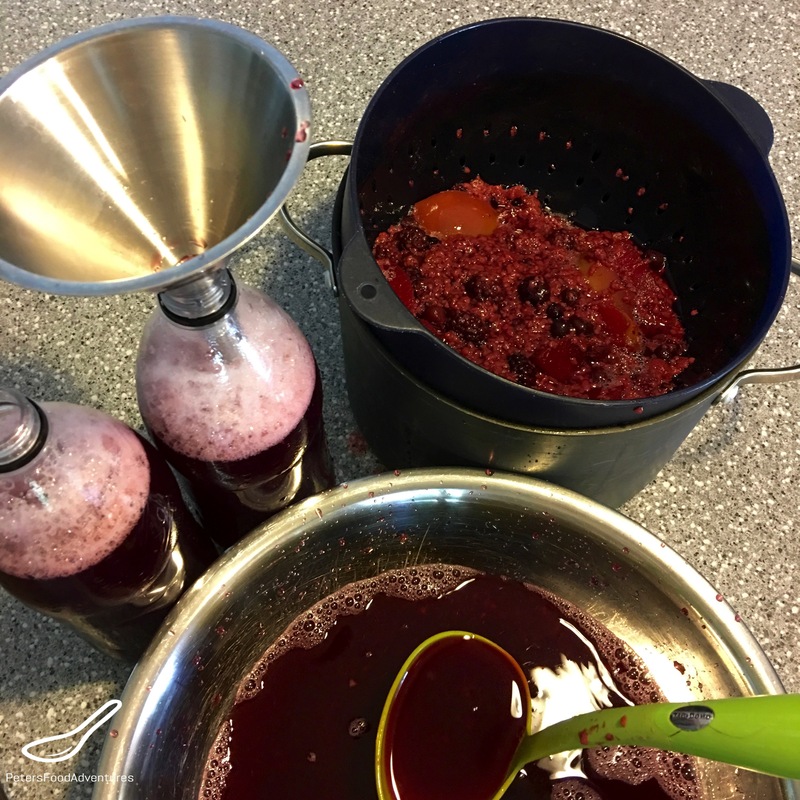 Fresh raspberries are $60 a kilogram here in Australia, but a kilogram of frozen raspberries is only about $10, so I use frozen berries to make kompot. You can infuse the juice for only a few hours, but I leave it overnight or until it cools, as I like to think I’m getting every last drop of flavour out. The strained fruit just goes to the chickens for a treat, or you could use it for baking. Growing up, mum used to make pure pressed juice from berries called Mors (морс), but that is made differently from kompot recipe. Check out my Blackcurrant Juice Mors recipe. Kompot Homemade Juice freezes really well, just put it in a soft drink bottle in the freezer, it’s a great taste of summer when it’s winter. It can be served warm or chilled, I think it’s a perfect thirst quencher on a hot summer’s day. Bon Appetit! Приятного аппетита! Place the fruit and sugar into the stock pot and fill up with water until pot is almost full. Bring the pot to a boil, reduce heat and simmer for about 5 minutes. Taste. Add sugar if necessary. 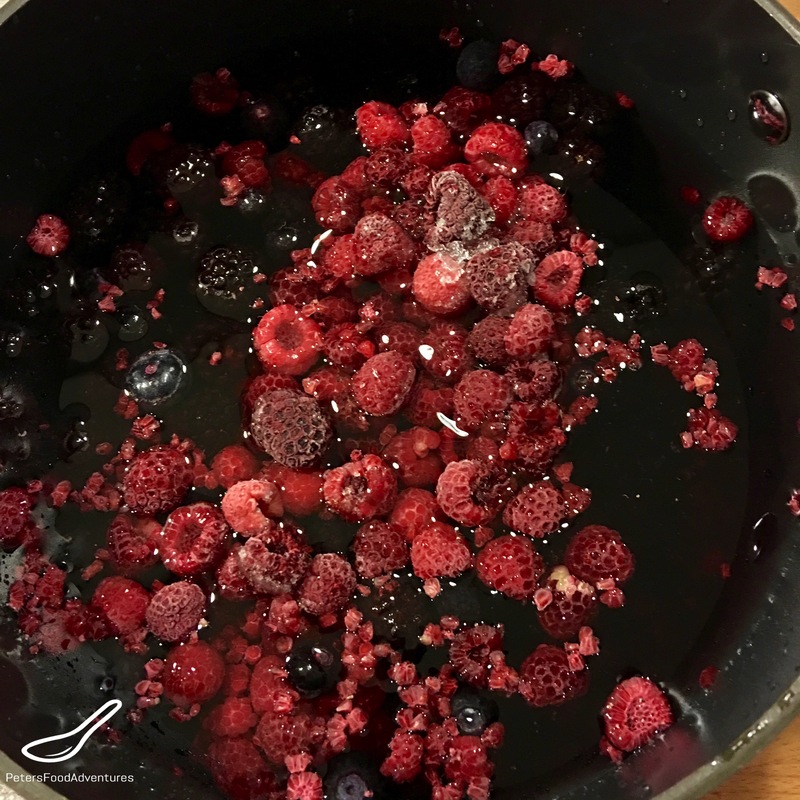 Cover with a lid, turn off the heat, and allow the fruit to infuse for a few hours, best overnight (if you started this in the evening. Strain the fruit using a colander (and cheesecloth if you like). Keep refrigerated and enjoy!